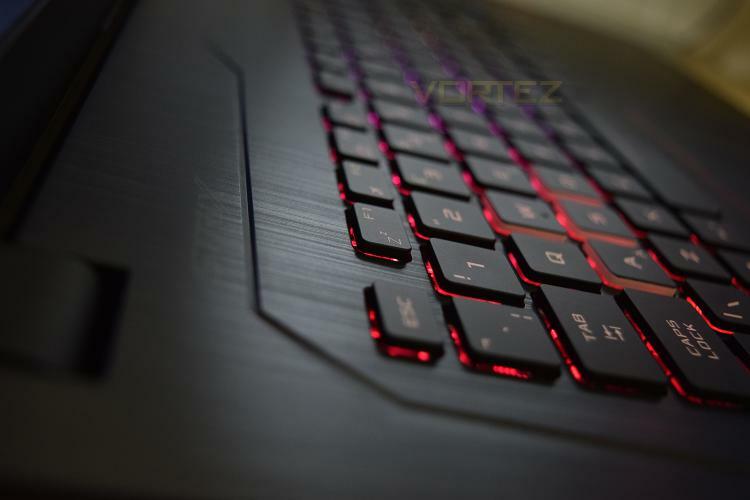 Packing a 7th generation Core i5 processor along with 12GB of DDR4 memory, the Strix GL753VD should certainly be able to handle any kind of office or media editing workloads you can throw at it; pair that with M.2 storage, an NVIDIA GTX1050 and a 1080p display and this laptop aims to sensibly smash its way through games. Priced at £999 in the UK, the laptop can be referred to as relatively low-priced, which is good for those on a tighter budget but still aiming to play games on the move. The 17.3” monitor boasts a Full HD resolution and 60Hz refresh rates, which the GTX1050 should be able to handle fairly easily. Alongside the NVIDIA discrete graphics sits the Intel HD Graphics 630, ready to take the reins when in 2D mode. ROG Strix GL753 comes with Windows 10 pre-installed and features a 7th-generation Intel® Core™ i5 quad-core processor, NVIDIA® GeForce® GTX 1050 graphics and full Microsoft® DirectX® 12 support to give you powerful performance and flawless gaming visuals.